"Rachel was an angel on earth throughout her life, with never a bad thing to say about anyone and the biggest smile to share with everyone. She was part of me, as she was so many of us." Rachel Haberkern Sherman touched the lives of countless friends and family members through her kindness, her gift of music, and her love of life. She is deeply missed by all who knew her. 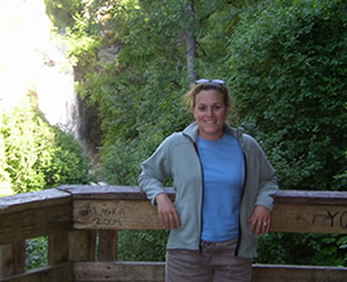 To honor her life and legacy, the Rachel Haberkern Sherman Memorial Scholarship has been established at Duke University. Please help us to honor Rachel’s memory by inspiring and enabling talented young adults to embrace their commitment to community service. • Recipients of the Rachel Haberkern Sherman Memorial Scholarship are Duke undergraduate students, preferably women, who exhibit an unmistakable passion for community service and who share Rachel’s desire to make the world a better place through their energy and dedication. These students are identified by their extraordinary commitment to activities such as those facilitated by the Duke Center for Civic Engagement, including DukeEngage. • The Rachel Haberkern Sherman Memorial Scholarship has grown to over $900,000, with a long-term goal of reaching $1 million. As of June 30, 2014, the scholarship endowment has distributed a total of $170,500 to five exemplary Duke students, and annual contributions will continue to grow in future years. • To make a donation, click the MAKE A DONATION button to the right. • For information on making a donation with appreciated securities, electronic bank drafts, and other alternative methods of giving, please visit Giving to Duke: Ways to Give or call the Duke Development office at 919-681-0463. • Your gift may make an even larger impact through corporate matching. To verify whether your employer matches charitable gifts, visit www.matchinggifts.com/duke. Thank you for helping us to honor and remember Rachel's generous spirit.